When it comes to action videos, most outdoor enthusiasts are familiar with recording all their exciting moments with GoPro action cameras. The crucial part of action footage is its stability and the secret of stability is a good stabilizer. From G4 to G5, Feiyu’s gimbal stabilizers have become the first choice of extreme sport fans due to its excellent performance and stability. Now, G6, the new action stabilizer of the G series, has been launched recently on 16 April. The G6 gimbal stabilizer has updated hardware and software. 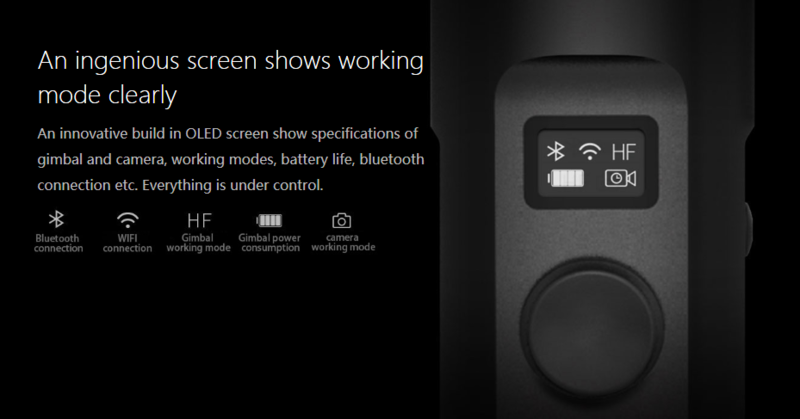 To begin with, it comes with WiFi+ bluetooth, which, when connected to GoPro action cameras, will allow users to switch modes and adjust the parameters of the camera with one click of the side screen key. Second, the Feiyu new G6 stabilizer also comes with the mind-blowing OLED screen, which allows users to read the camera parameters, the mode of the stabilizer, and the connection of the blue tooth in order to have better control of the camera and stabilizer. In addition, the G6’s re-programmed systematic algorithm will allow it to perform even better with less power consumption. Meanwhile, the enhanced motor torque ensures that users can get cinematic footage with better stability and efficiency. Last but not the least, thanks to brand-new algorithm framework, the G6 stabilizer is now more flexible and stable than ever. The brand-new elevation design also allows the stabilizer to rotate freely in all directions and on the both pitch axis and heading axis, which provides the video maker with a new barrier-free vision. Building on the excellence of the G6, the brand-new G6 stabilizer is covered with metal and water-resistant materials. The powerful battery can sustain 12 hours of operation and can also charge GoPro action cameras through the built-in interface. In addition, the G6, through its extensive functions and personal preference settings, can help users in more scenarios. The G6 is compatible with most action cameras, such as GoPro HERO6 / HERO5 / HERO4 / HERO3+ / HERO3, RX0 and YI 4K+, AEE and other action cameras of similar shape and dimension. The G6 is being sold on Ali Express, Amazon and Feiyu’s own website.